This Ceramic Coffee Mill is easy to use and easy to clean! It's perfect for traveling, camping, or when the power goes out. 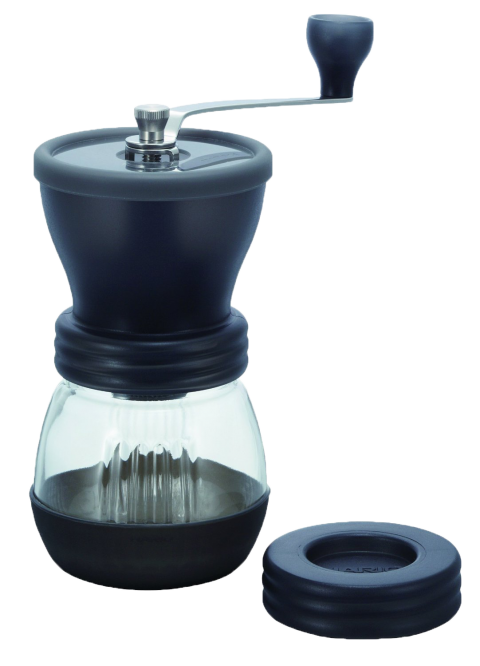 Features conical ceramic burrs, an anti-slip rubber base for easier grinding, the grind setting is easily adjustable, and it's even dishwasher safe.